← Who Does Heaven Love Most? Begin to trust that [THINGS CHANGE]. Trust that you will remain with you in your happiness or in your tears. Give yourself to trust you and to be in [LOVE] with the most wonderful and awesome you. Gain is hard to trust. Trust the truth: that in business people steal, lie, cook the books, hold back opportunities, are disloyal and dangerous, but that is them. Trust that wars break out and that it’s not your business. Trust that this finite planet has extreme mood swings with the weather. Trust this tiny speck in a universe full of bigger specks that “could” hit us at any minute. but it is what we’re thinking of them that hurts us most. but that maybe they just need this from themselves. Trust wanting to love, this is your heart’s natural state. Trust to love yourself and others (but that you don’t have to go on a camping holiday to Siberia with them with a dog called “Fluffy” who has bad breath and farts). Trust life, as you’re alive to read this ain’t yer? Trust death, even though it has such a bad press and who knows how long we’re built for? 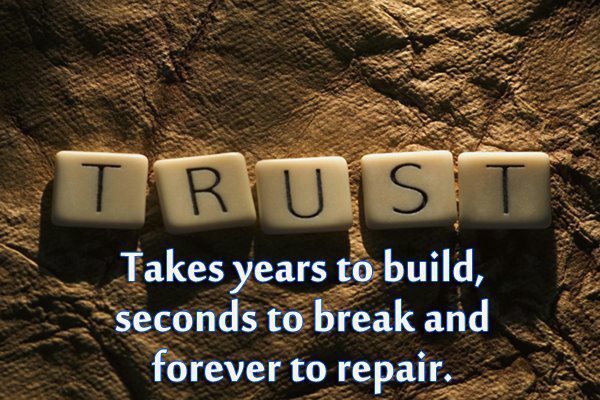 Trust [THINGS CHANGE] and we don’t have to like it, but life becomes easier if we do. Trust again and again, that you will remain with you in your tears and in your happiness. Trust you to be in [LOVE] with the most wonderful and awesome complex, being you.